For many years, I've practiced yoga and enjoyed the many health benefits that come with it - both physically and mentally. In my yoga practice, I've always incorporated a short meditation session to end my practice. Meditation has not been an easy practice for me. I always found it to be very difficult to quiet my mind and just focus on my body and my breathing. Recently, I've found myself bogged down with a great deal of stress which yoga simply could not alleviate. My stress continued to grow into anxiety and well, things only got worse from there. My Naturopath suggested that I try meditation. I figured, why not give it a try again and see if I can master my extremely busy mind. If you can find even just 5 minutes to sneak away in a day, then you have time to meditate! Meditation has been shown to not only decrease stress, but has also been linked to several other health benefits. Daily meditation has become such a big part of my life and I can honestly say that it changes my mood, my ability to handle stressful situations and my overall sense of well being. "But I don't have time to meditate!" I know you might be thinking, "Kim, are you crazy? I've got kids, work, a house to keep up, I don't have time to step away and meditate." Meditation doesn't have to take long. Even if you can manage to step away and find a quiet space (or use headphones) for 5 minutes, you can begin to feel some great benefits from meditation. Quiet your mind, breath deeply and enjoy a relaxing moment. Tip: Don't have time to meditate when you get home from work? Many workplaces have meditation or quiet rooms that you can use to take time for yourself. Step away for 10 minutes, breath deeply and you'll come out of the room ready to take on whatever your boss has to throw at you. I have found that with continued meditation, I can feel existing stress melt away and my ability to prevent new stresses from taking a toll on me getting stronger. I feel calmer, more clear headed and more able to take on life's daily stresses. 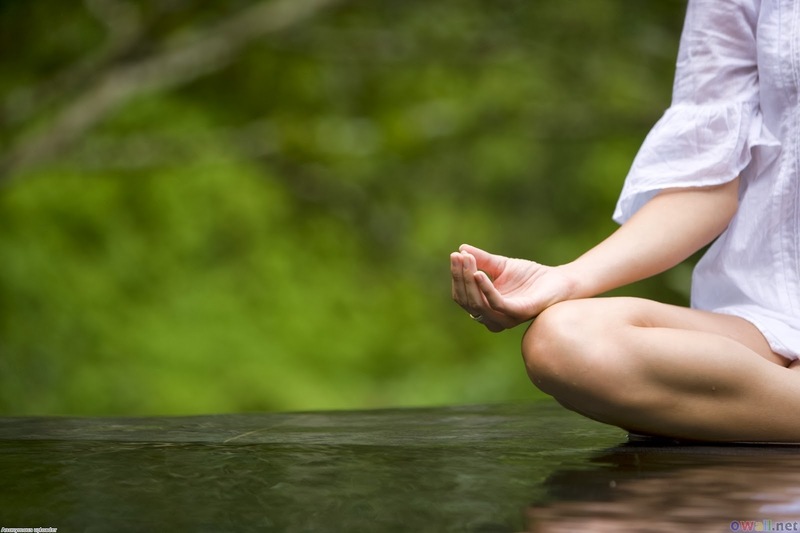 There are so many physiological benefits that come with meditation. The moment I've completed a session, I can feel that my heart rate is lowered, I have little to no tension or pain in my body, I feel more positive and uplifted and suddenly feel full of energy (who needs Red Bull!). Before I started meditating, my overwhelmingly stressed out brain felt like it was constantly in a fog. I was very forgetful, found it so difficult to focus, lacked creativity and the ability to critically think through situations. Because of this fog, I found myself reacting to simple situations and just simply unable to handle minimal stress. Meditation has really helped me clear my mind and I feel so much more focused and clear headed - I can remember what I have to do in a day, I get tasks completed and can actually think through a situation before becoming overwhelmed and potentially overacting. These are just some of the amazing benefits that you can expect through meditation. I know that after only a few short weeks of dedicated practice, that I'm already enjoying so many of these benefits. Meditation isn't a cure all - but it really is such a great step to take to bring yourself into a quieter and happier place. Try it - at first, you might find it challenging to turn off your mind, but stick with it and in a short time you'll find yourself more able to relax and enjoy the benefits of meditation. I hope that you'll give it a try or in the words of Sheldon Cooper, you might still believe that "meditation is nothing by hokum". That's so great to hear Ana! Turning off your mind can be a real challenge, but I promise that with a little practice it does become effortless and really enjoyable. Stick with it!